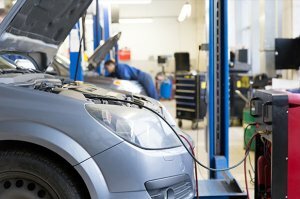 Do you need a reliable Port Moody auto repair shop? Whether it’s winter, summer, or somewhere in between, it’s	important to be comfortable inside your vehicle. If your heating or air	conditioning system in your car isn’t operating properly, our team at	Vancouver Brake and Wheel Ltd can help. Our certified Red Seal mechanics can maintain your climate control	systems at top efficiency! Beyond temperature control, your auto’s cabin defroster system needs	to be operating well to offer maximum visibility through your windshield. There’s nothing more frustrating and dangerous than having to continually	wipe the inside of your vehicle’s windshield so you can see the	road ahead. Keep comfortable and keep safe with the help of Vancouver	Brake & Wheel Ltd. Contact us at (604) 461-3258 for all your Port Moody garage needs!